Reception St Paul’s have had a fantastic start to their Autumn term, with lots of fantastic learning, friendships being made and foundations formed. This week pupils celebrated the European Day of Languages by travelling across the Sea to Denmark! During an activity filled day they enjoyed learning about 2 famous Danish exports: Vikings and Lego! 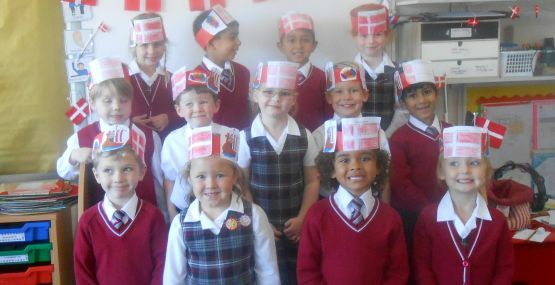 Pupils enjoyed looking at the ‘Danebrogs Flag’, making hats and learning the Danish version of ‘The Wheels on The Bus’. We cannot wait to hear it! !